With Thunderbolt 2 technology, the interface is no longer the performance bottleneck. For the 8big Rack, LaCie harnessed the breakthrough performance potential of the Thunderbolt 2 I/O, squeezing the absolute best speeds out of the hard disks. Add a hardware RAID controller and 7200RPM disks, and the result is incredible, sustained speeds of up to 1330MB/s that turbocharge 4K workflows, file transfers, or backups. 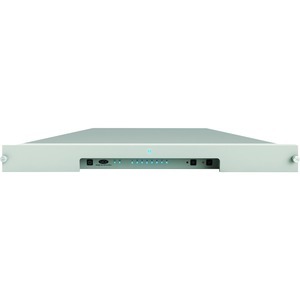 With full component redundancy, the LaCie 8big Rack gives professionals superb reliability and data security. Fans, disks, and PSU are fully redundant, hot swappable, and user-serviceable. And hardware RAID 5/6 provides security against disk failure and data loss, without compromising on transfer speeds. Whatever the contingency, zero data loss, and zero downtime.